Most of Japanese castles are built in the 16th and 17th centuries. Castles symbolized the power of the lords. While traveling in Japan, you can see many different types of castles. Touring the inside of a castle tower is interesting. You can observe many mechanism each castle had during the Warring States in Japan. Also, enjoy magnificent views from a castle tower. Below is a guide to some recommended castles in Japan. 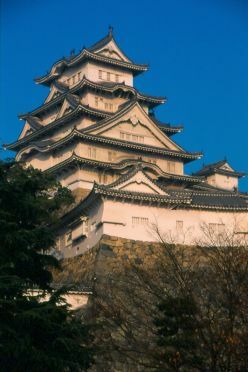 The most famous castles today are seen in Himeji, Nagoya, Osaka, and Matsumoto, but many have been carefully reconstructed after being completely destroyed during World War II, or earlier, during the Meiji Restoration. Among all castles in Japan, Himeji castle is arguably Japan’s most famous castle both domestically (regarded as one of the ‘Top 3 famous castles’ in Japan) and internationally as an UNESCO World Heritage site.